Americans are eating their weight and more in genetically engineered food every year, a new Environmental Working Group analysis shows. On average, people eat an estimated 193 pounds of genetically engineered food in a 12-month period. The typical American adult weighs 179 pounds. These figures raise a question: If you were planning on eating your body weight of anything in a year, wouldn’t you want tomake sure it was safe to eat? Shockingly, virtually no long-term health studies have been done on consumption of genetically engineered food. And there aren’t likely to be any such studies anytime soon. The government isn’t doing this kind of research and is not requiring it of the food industry. It isn’t even making it possible for independent scientists to do it, since under the law, those who hold patents on genetically engineered food get to decide in most cases what testing can–and cannot–be conducted. As a result, the jury is still out–in fact, it hasn’t even heard the evidence–on whether genetically engineered food might cause health problems. And the answer to this question will likely remain unclear for years. So what can consumers do in the meantime? Not much–unless they demand that genetically engineered food be labeled. At least then consumers would know whether the food they buy contains genetically engineered ingredients, and could decide for themselves if this is what they want for themselves and their families. This basic right-to-know issue is only going to become more important in the future, because consumption of genetically engineered food is expected to grow substantially. We estimated how much of each of these foods were likely to be genetically modified. We compared the consumption figures with the latest USDA data showing that 95 percent of the sugar beets, 93 percent of the soybeans and 88 percent of the corn grown in the U.S. are genetically engineered. We also applied federal data showing that 79 percent of the salad oil consumed in the U.S. is soybean oil, and 55 percent of the sugar comes from sugar beets. From these figures, EWG calculated that the average American annually consumes genetically engineered foods in these quantities: 68 pounds of beet sugar, 58 pounds of corn syrup, 38 pounds of soybean oil and 29 pounds of corn-based products, for a total of 193 pounds. As more genetically engineered crops are approved and grown commercially, the average amount of genetically engineered food consumed would be expected to spike far above 193 pounds a year. EWG considered only three genetically engineered crops, but more than 30 others are currently being tested in field trials, including apples, barley, bell peppers, cabbage, carrots, cauliflower, cherries, chili peppers, coffee, cranberries, cucumber, flax, grapefruit, kiwi, lentils, lettuce, melons, mustard, oats, olives, onions, peanuts, pears, peas, persimmons, pineapple, popcorn, radishes, strawberries, sugar cane, sunflower, sweet potatoes, tomatoes, walnuts and watercress. While it is unclear how long it may take for these new genetically engineered crops to reach the market, this long list makes it likely that people could be eating two or three times their weight in GE food annually within the next decade. Some people are likely already eating more than their share of genetically engineered food. 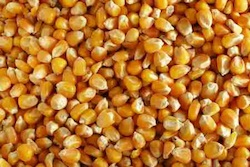 Hispanic Americans, for example, who typically eat between 2-to-3 times more corn flour than people of other ethnicities, would be expected to get an extra dose of genetically engineered food in their diet. Similarly, data show that children eat more corn flour and sweeteners per pound of body weight than adults. Given how much of these ingredients tend to be derived from genetically engineered sources, kids are likely ingesting more genetically engineered food. Taking a stand for their right to know should be reason enough for people to vote for labeling of genetically engineered foods. Here’s another good reason: Americans are eating their body weight in genetically engineered food every year–and have little idea where it’s coming from. That’s certainly something to chew on. Centers for Disease Control and Prevention. 2012. FastStats: Body Measurements. Environmental Protection Agency. 2012. Major crops grown in the United States. US Department of Agriculture. 2011. Agricultural Statistics Annual. US Department of Agriculture Economic Research Service. 2012. Sugar and Sweeteners. US Department of Agriculture Economic Research Service. 2012. Commodity Consumption by Population Characteristics. I'm glad to see many people waking up to the benefits of organic food. More grocery stores are really starting to stock the shelves with natural foods which is great. Given both the lack of oversight exhibited by the USDA and particularly the average consumer's ignorance, even apathy, about the origin of their food, these findings are nothing short of terrifying. And if somewhere down the road it's discovered that there IS something harmful directly (or indirectly) resulting from consumption of these foods, who do you suppose will face the consequence? Given the model of how Wall Street weathered their own recent fiasco, you can be damn sure that it won't be those who made their millions bringing this kind of thing to market. If you are inclined to rush such unproven methods through "approval", then the least you can do is cover your asses and LABEL it. Very disturbing. Great post on GMOs, especially the concerns about children eating larger proportions of foods containing GM ingredients. I agree that there needs to be more awareness among consumers about what they are eating and feeding to their families! Thanks for sharing this with Civil Eats and your reader base! If you would like more resources to help spread the word about this and California's Prop 37, please visit 10reasonsforprop37.org! We have tons of embeddable resources regarding GM food issues, which are all available for you to use. With Big Ag companies like Monsanto spending millions and millions of dollars fighting against Prop 37, we need to know what they're hiding from consumers and why! Thanks for being an advocate for consumer education and awareness!